A luxury moisturizing soap using organic shea butter and olive oil for intense nourishment to give you soft and supple skin. 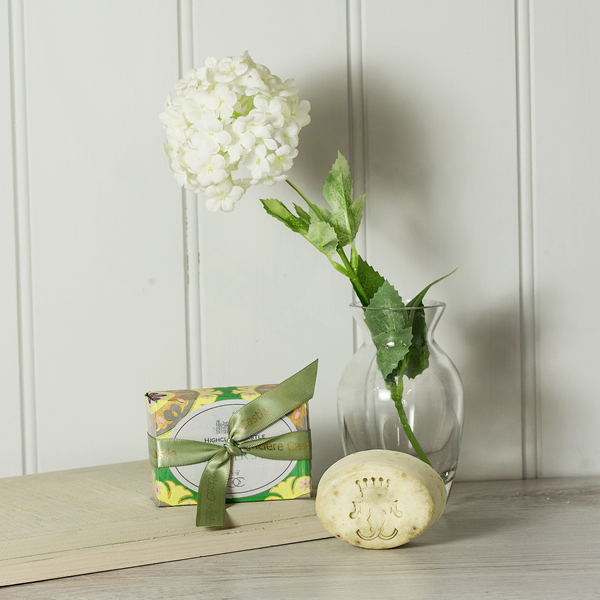 Scented with pure essential oils including lavendar and rosemary to freshen your hands, each bar comes in a beautiful hand printed Indian paper box. Hand made especially for Highclere Castle by a local artisan company. Size: 8.5cm x 6cm x 3.5cm (3” x 2½” x 1 1/2”) approx.